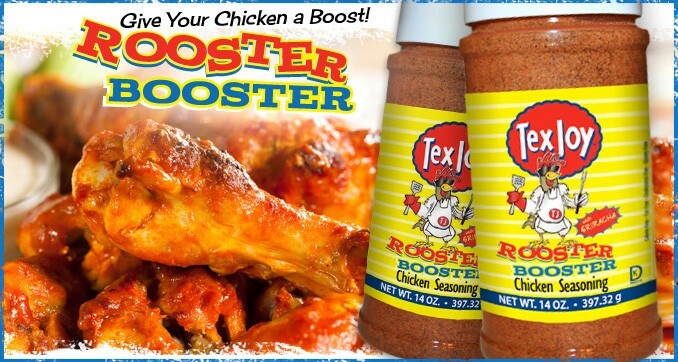 TexJoy "Rooster Booster" Chicken Seasoning has all the flavor to make the most of chicken tenders, buffalo wings, fried chicken, grilled chicken, chicken and sausage gumbo, chicken noodle soup and chicken kabobs. And more! This blend of spices is made for seasoning chicken, but also tastes great on pork, beef and more. Just shake on and enjoy in place of salt or pepper, or use as a marinade. Rooster Booster is a product of time and commitment to excellent quality with the popular flavor of Sriracha - not for the heat, but for the added intensity of flavor that's sure to please whether it's on the grill, in the oven or on the stove.